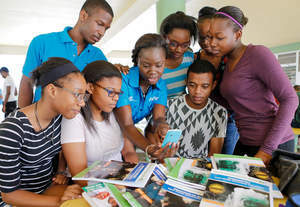 MIAMI, FL--(Marketwired - Sep 20, 2016) - As parents and students get fully into the new school term, Flow unveils its e-learning platform, Flow Study, an online portal to help students better prepare for the CAPE and CSEC examinations. One of the most significant features of Flow Study is that it offers access to a comprehensive range of educational materials, including exam strategies, past paper solutions, CyberPedia and virtual labs, that students can access from multiple devices including smartphones, tablets and desktop computers. The portal is also linked to video-based tutorials via Flow TV on Demand. Ricardo D. Allen, head of One On One Educational Services, is the founder and developer of the Flow Study program. 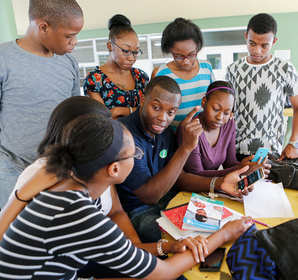 For the last several years, his team has been preparing students for the CSEC mathematics exam, maintaining a 100 percent pass rate with an average of 83 percent of these students, attaining a grade one. Flow sees the partnership with One to One as an opportunity to twin the educational expertise and successful track record of One on One with Flow's world class technological platform to significantly expand access to e-learning to thousands more Caribbean students. 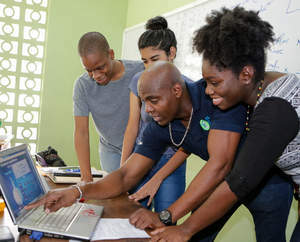 "Our partnership with One On One Educational Services enables us to deliver the highest-quality educational content via our industry-leading technology, giving Caribbean students a better opportunity to excel," said Michele English, Acting President of Flow. "The platform supplements classroom learning and gives students the ability to study anytime, anywhere. It's the future of studying and we are pleased to offer this opportunity to our customers," she stated. The App offers free access to basic study materials to all Flow's broadband customers. Parents who want more specialized and detailed material for their children, can access additional subjects and content for a small fee that they will be able to pay through their Flow bill or prepaid balance. Getting started is simple -- visit www.flowstudy.co, 'login' to register for a free FLOW ID. Download the Flow Study app on your mobile device from the Google Play Store to access learning material and you're on your way to better grades. Flow Study is available across all Flow markets except Curacao. Liberty Global's businesses are comprised of two stocks: the Liberty Global Group (NASDAQ: LBTYA) (NASDAQ: LBTYB) (NASDAQ: LBTYK) for our European operations, and the LiLAC Group (NASDAQ: LILA) (NASDAQ: LILAK) (OTC PINK: LILAB), which consists of our operations in Latin America and the Caribbean.